European Union leaders have offered Britain a choice of short delays to its departure from the European Union, postponing Brexit, due March 29, until at least mid-April. European Council chief Donald Tusk says the British government has accepted the European Union's offer to delay Brexit. British Prime Minister Theresa May had requested a delay until June 30. 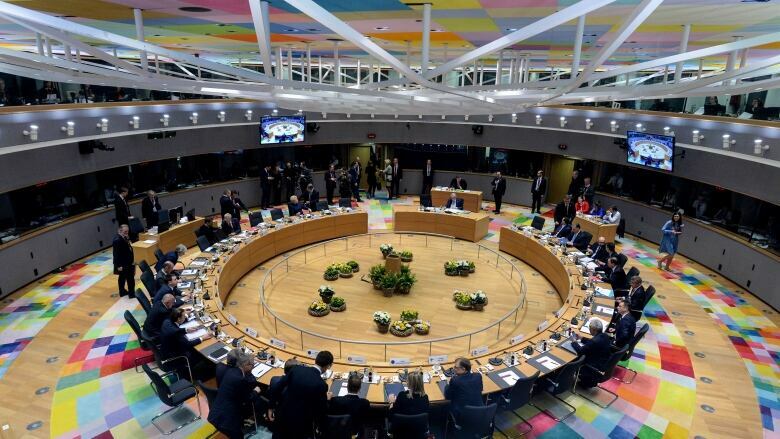 Following hours of meetings on Thursday, the EU offered Britain a choice of shorter delays. The bloc said it will extend the deadline until May 22 if Britain's Parliament approves May's Brexit deal next week. If it is rejected, the U.K has until April 12 to "indicate a way forward." "What the decision today underlines," May said following her meeting with Tusk, "is the importance of the House of Commons passing a Brexit deal next week so we can bring an end to the uncertainty and leave in a smooth and orderly manner." Earlier in the day, the bloc explained that, while May had sought a June 30 deadline to give time to tie up legislation on withdrawal, Britain's refusal to take part in elections to the EU parliament from May 23 to 26 meant that the country must be out of the bloc before then. May reiterated Thursday evening that she does not believe Article 50 — which outlines the steps Britain will take to leave the EU — should be revoked. "We gave the choice as to whether to stay in the EU or leave the EU to the British people," May said. "They voted in 2016, they voted to leave ... I think the time is now to deliver for the British people." French President Emmanuel Macron stressed it's now the British Parliament's responsibility to make sure that Britain does not crash out of the bloc without a divorce deal. "This is it," Macron said. "There won't be any delay to renegotiate, and there won't be any delay if there is not a clear majority on the future relationship." Macron said a long delay would only be justified if there was a "deep political change" in Britain, but did not elaborate. EU Commission President Jean-Claude Juncker said if the British Parliament rejects the government's Brexit divorce deal again next week, the EU leaders would have to be called into a new summit next week. He said, "I didn't know my patience could last that long" — about the drawn-out Brexit process, which started with the June 2016 referendum in which the British narrowly decided to leave the EU. May's deal has already twice been rejected massively by the British Parliament, and EU leaders are being asked to take the risk that May can convince the lawmakers next week. That looked more uncertain after her speech on the eve of the summit, in which May told a Brexit-weary public: "You want this stage of the Brexit process to be over and done with. I agree. I am on your side." She faced a backlash for her comments from lawmakers, including from some in her own Conservative Party. Anna Soubry, of the breakaway Independent Group, described it in a tweet as the "most dishonest and divisive statement from any Prime Minister." David Lammy of the opposition Labour Party called the speech "sinister," while Conservative Sam Gyimah called her comments "toxic" and a "low blow." Top EU officials have said May's gambit is pushing the country to the brink of a catastrophic no-deal scenario, with huge political and economic implications for Britain and the European Union at large. Merkel told German lawmakers Thursday that "we can comply in principle with this request if we were to have a positive vote next week on the withdrawal documents in the British Parliament." But she warned the EU wants to ensure the legitimacy of the May 23-26 elections to the European Parliament. Juncker has said Britain should be out before May 23 or be obliged to take part in the Europe-wide vote. The Europeans fear citizens unable to vote could launch legal action at the European Court of Justice, or businesses unhappy with legislation adopted by the new parliament might challenge its legitimacy. Merkel vowed to work "until the last hour" to try and ensure that Britain doesn't leave without a deal, even though her government has already put "the most important emergency measures" in place to deal with such a scenario just in case. "We will, despite these measures we have taken, work until the last day — I will say until the last hour — to ensure that this emergency planning doesn't come into effect," she said. "We will do everything in the remaining, admittedly few, days to achieve an orderly, joint solution." Should May fail, EU leaders could be forced to meet again next week to weigh their next move, with a much longer extension a possibility. In her statement Wednesday night, May didn't accept a role in causing the deadlock, but warned that if lawmakers didn't back her deal, it would cause "irreparable damage to public trust." 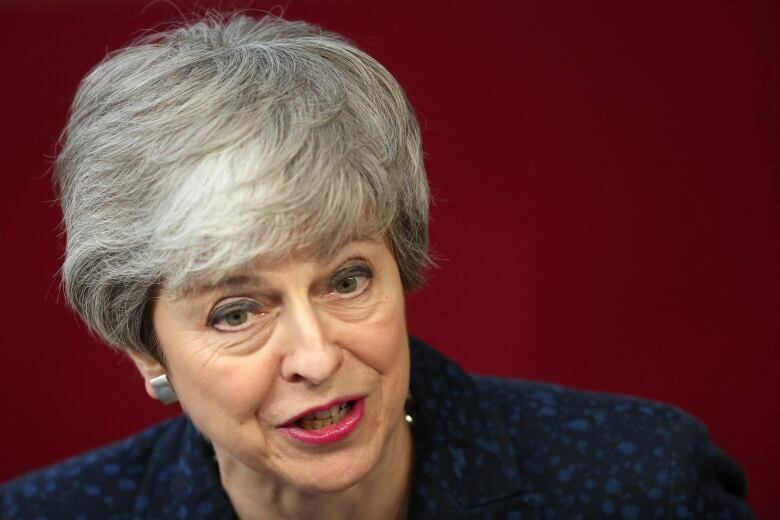 May said Parliament now faces a "final choice" between her deal, a no-deal departure and cancelling Brexit. But Foreign Secretary Jeremy Hunt said she was simply expressing frustration and tapping into the public's exasperated mood. Parliament must come to a consensus in a time of national decision, he told the BBC. "In fairness, what she is actually saying is that we have to implement the results of a democratic referendum," he said. "That's the challenge." Main U.K. opposition Labour Party Leader Jeremy Corbyn was also meeting senior EU officials in Brussels, trying to persuade them Parliament can find an alternative to May's rejected plan. "I believe it should be possible to agree a deal with the EU that secures a close economic relationship before the European Parliament elections," Corbyn said.